Ford announced last month that it’s phasing out small cars and now, probably not surprisingly it looks like Fiat Chrysler will take a similar path. Soon-to-retire CEO Sergio Marchionne apparently will cut down on the small cars and go in big on the large and luxurious ones. That means less Fiat and less Chrysler. The report, which comes from Bloomberg and cites unnamed sources, indicates that Marchionne’s potential last move as boss will be to bet the automaker’s future on Jeep SUVs and Maserati luxury cars while “downsizing its namesake brands.” The official plan will be revealed on Friday. Expansion will be underpinned by rolling out brawny Jeep and Ram vehicles globally. The carmaker is also considering combining Alfa Romeo and Maserati into a single division in Fiat’s financial reports, the people said. Combining the upscale Italian brands would be seen by investors as a first step to an eventual spinoff. 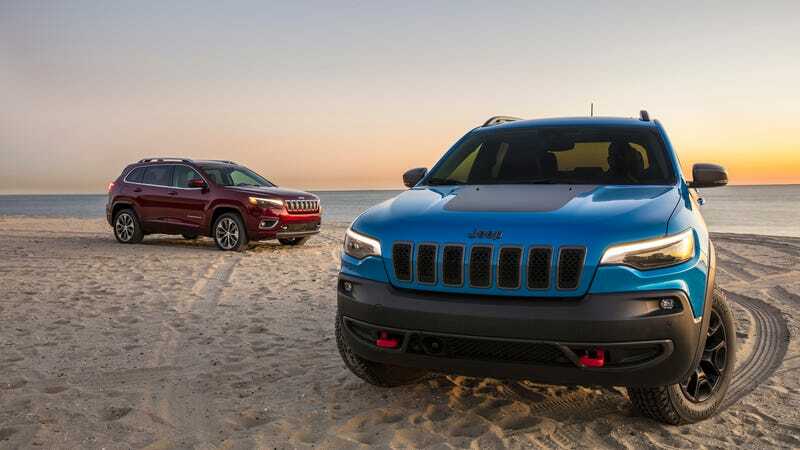 Expanding Jeep would certainly make sense, as it is the strongest seller and most valuable brand that FCA currently has to offer. And anyway, haven’t you heard? Small cars are dying because nobody buys them. FCA already killed off the Dodge Dart and the Chrysler 200. This move would just be a continuation of a path it’s already going down.